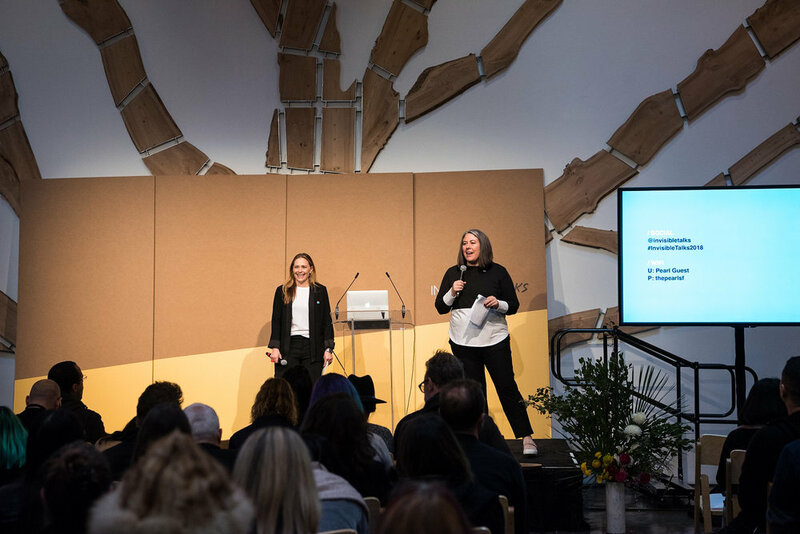 On a cold and sunny San Francisco day in January, I attended the inaugural In/Visible Talks, a design conference about the creative process. 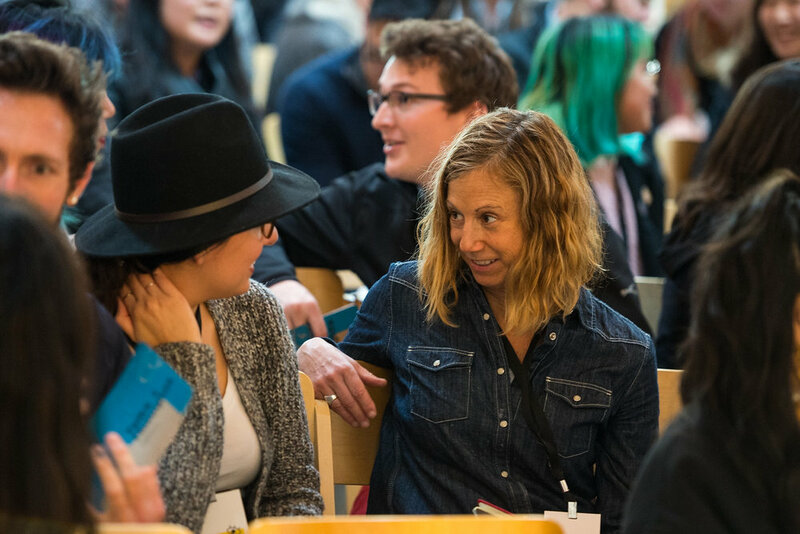 The mission of founders Dava and Arianna is to build community over conversation about the art of design. And oh, girls, did they. I was blown away by the easy rapport, the captivating choreography and most of all, by how personal each talk was, and how much there was to take away from every single person. There were so many dots connected and threads to be pulled through. Being there helped me to think about how, what and why I do what I do, in new ways. And even to question the monikers we call ourselves: I now know I’m a designer too, even as I’m a strategist. Take more time (alone, with others or with animals) to be human, ponder connections, listen to the chatter and contemplate the spaces in between. There’s power in lo-fi magic and magic in lo-fi power. First, go analog. And don’t forget to get tactile. We all can create and break our own rules, yet rules are very useful creative constraints. We must define them or at least understand them before we can follow them or break them. Surprising things happen when you get out of your own way, go out of the way, get outside or enter through a side door, especially your own. Sometimes you just have to ask a different question. What do you want to do next? Who are the people you want to do it with? What is worth doing? What is out of your control? Am I threatening the status quo or am I the status quo? to walk your own talk and do things the way you say you do. Risk is a muscle you can build. Even as it scares you every single time. Because ideas fail a lot, but people aren’t failures. Stretch yourself by getting laid off or saying could we instead of should we. Or both. Ask for help, even if it’s just from yourself. Pay attention to the moments when your momentum and energy is waxing or waning. Or someone else’s. Try changing the context. Treat everything like design. Evaluate. Iterate. Evolve. Repeat. And plan not to know the answers, yet. Or ever. And don’t ever be afraid to break your own heart. And by seeing through other people’s prisms, white becomes all the colors of the rainbow. See a bit of what happened, meet the speakers and learn more about how the look and feel came together here.